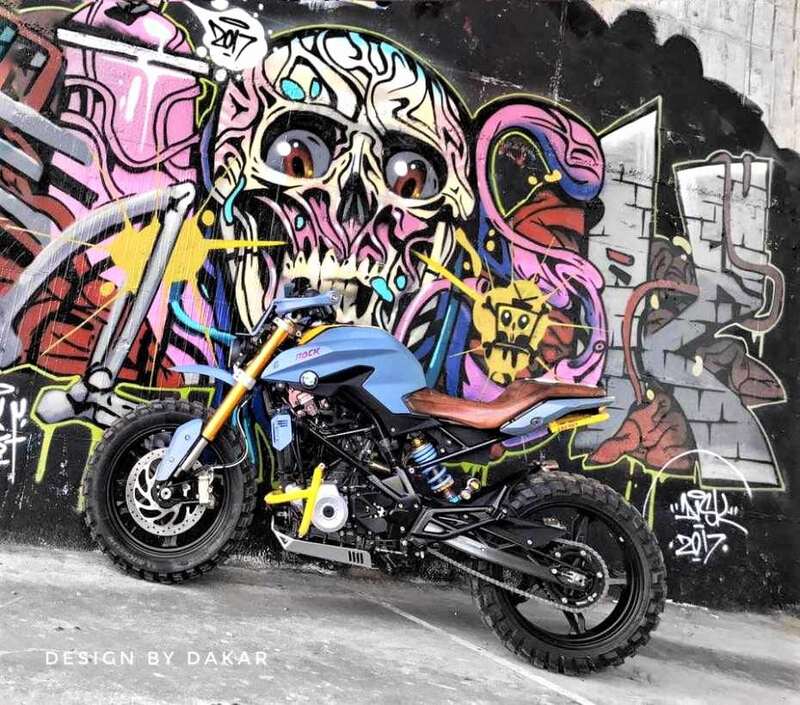 BMW G310R and G310GS might be new to India but fans worldwide got them early and are here with a modified version of the roadster. 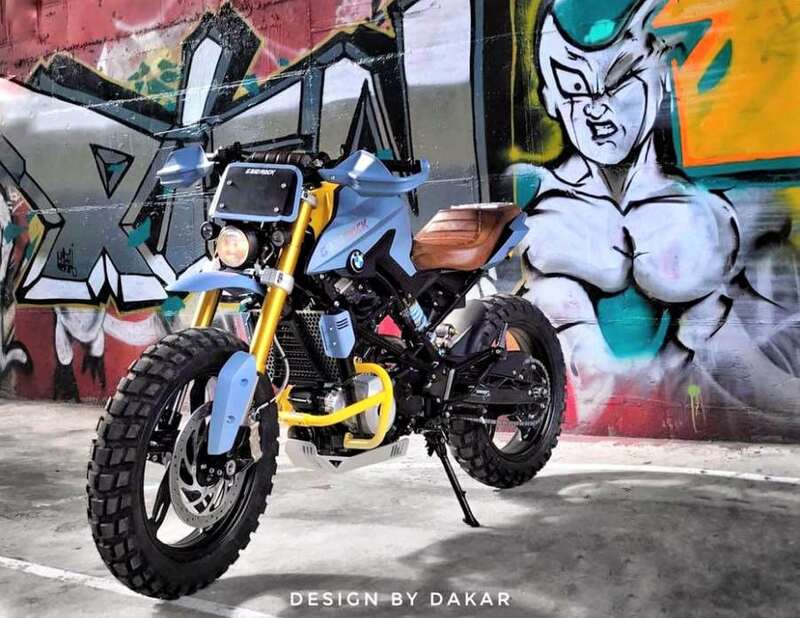 DK Design from Taiwan made this BMW G310 Rock from a standard motorcycle, adding a pinch of excitement through their custom selected parts and an all-new motorcycle theme. The first and most noticeable change on G310R is the use of thick tires with large treads and extra wide appeal. 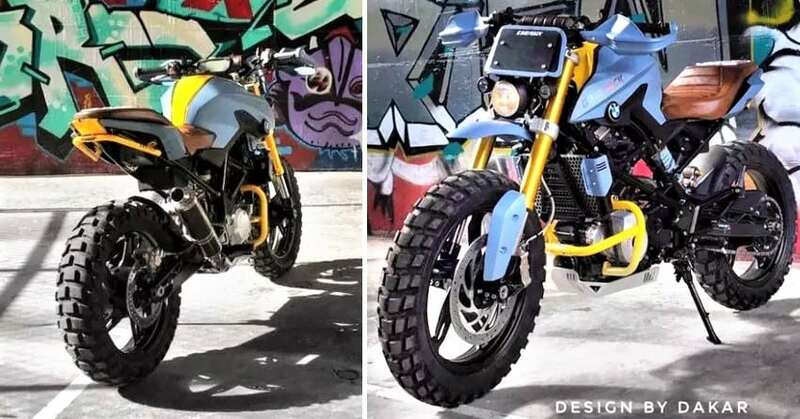 The changes resulted in an overall increase of ground clearance and seat height on the motorcycle. The golden forks were left untouched for a premium front-end feel. The headlight made way for this small round unit with black casing and halogen bulb. As the light is now placed lower than usual, the upper section is complimented through a custom visor. The handlebar comes fitted with knuckle guards while the stock front fender made way for this high placed motocross fender. The fuel tank comes with stock extensions while lower panel goes missing from the G310 Rock. 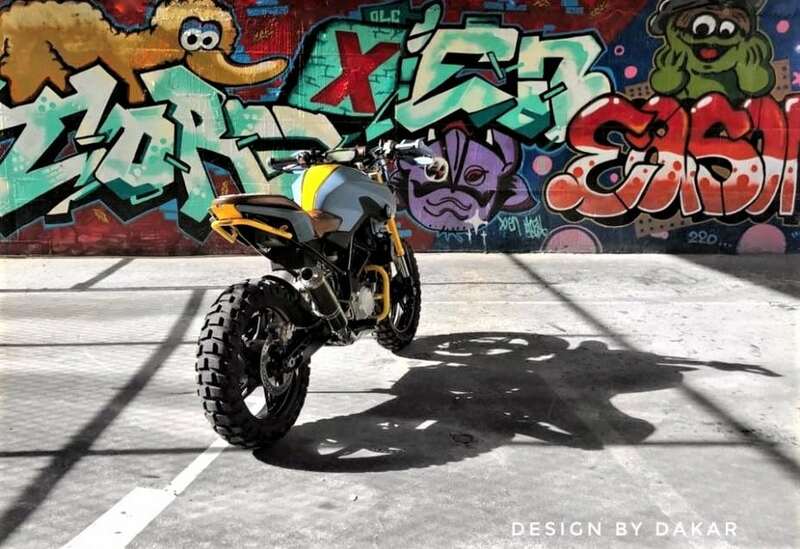 DK Design used an engine protector, painted yellow to create a perfect sync between the body theme and rear panel area. The rear tire is an even massive unit on G310 Rock. 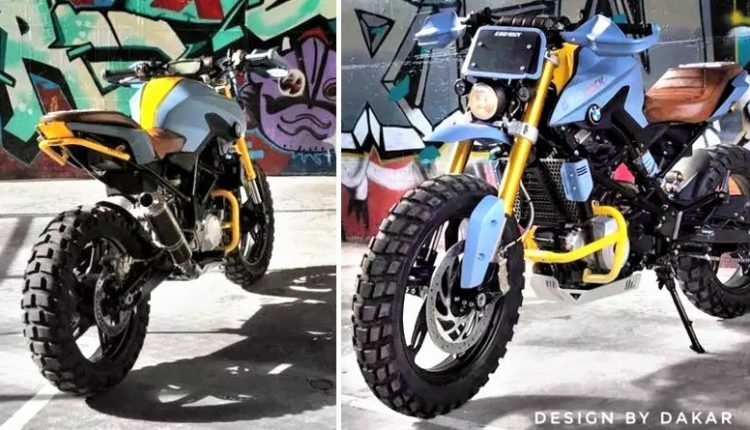 The buyers who rejected G310R for its huge exhaust may not even like the exhaust used here as it even feels bigger in comparison to the overall motorcycle size. The seat on G310 Rock comes with a custom brown cover for a premium look. The version was made before the introduction of G310GS in Taiwan, leading to certain similar design lines and stance proportions with the adventure tourer. BMW G310 series is powered by a 313cc, single cylinder engine, producing 34 hp and 28 Nm of torque. The engine comes mated to a 6-speed gearbox and claims 143 kph of top speed in stock conditions. 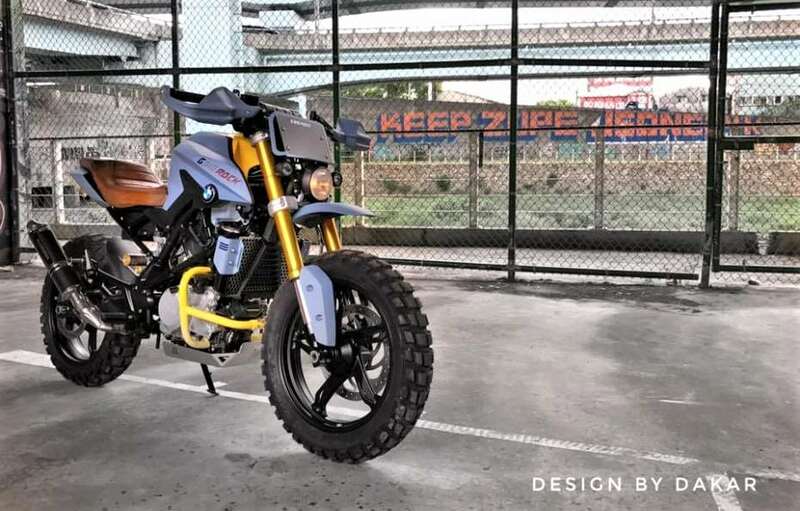 BMW-Motorrad recently launched the G310R & G310GS in India for INR 2.99 lakh and INR 3.49 lakh respectively. The prices mentioned here are ex-showroom India.